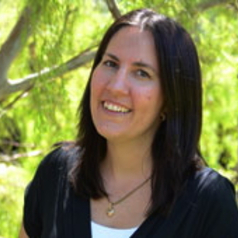 Tina Murphy received her PhD in Psychology from the Australian National University. She comes to Griffith University's School of Criminology and Criminal Justice after having worked for 2 years as an Associate Professor at Deakin University's Alfred Deakin Research Institute. Prior to this she spent six years employed as a Postdoctoral and Research Fellow at the Australian National University's Regulatory Institutions Network working with Professors Valerie and John Braithwaite, followed by two years as a criminology lecturer at Deakin University. Tina's research integrates psychological theory with regulatory theory, arguing that effective regulation depends on being responsive to individuals' needs, values and behaviours. Her major research interest centres around the concept of procedural justice; the idea that dealing with citizens in a procedurally fair and respectful manner will encourage cooperative behaviour and voluntary compliance with rules and decisions. She has undertaken this work in the policing, taxation, environmental, and social security contexts. She has found that procedural justice can be used by authorities to encourage citizen cooperation, compliance and commitment to the law, in part because it increases levels of trust and the perceived legitimacy of the authority. Tina is recognised both nationally and internationally for her research on procedural justice and has been awarded numerous research grants to pursue her research in this area. Recently, she has developed the first body of research in Australia exploring issues of procedural justice and legitimacy in the policing context. This has involved undertaking a longitudinal survey study of over 2000 Australians about their views of policing in Australia. She is currently working with researchers at the University of Queensland to explore how policing with procedural justice can improve police/community relationships with ethnic minority groups. can be used to foster Muslim's cooperation with police in counter-terrorism initiatives.